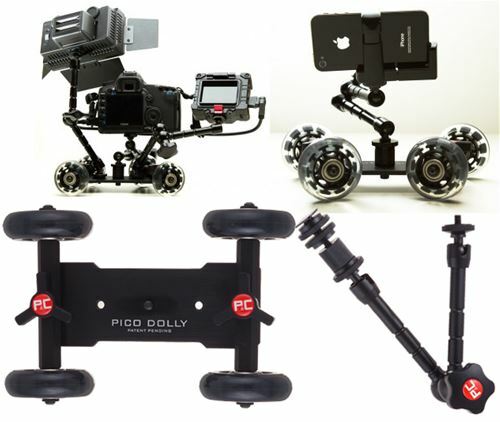 • Add a set of articulating arms to our Pico Dolly or for anything you need specially placed. • Arms have two machined metal sections. 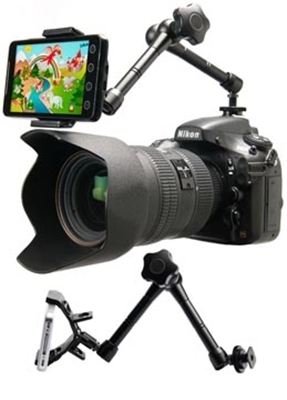 • The lower section has a locking accessory cold shoe mount. • Or remove the shoe and use it with either a 1/4x20 female or male thread. 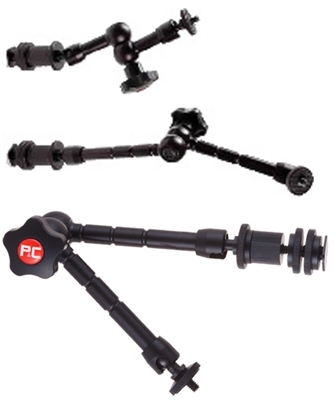 • There is a ball joint on the base allowing it to swivel in most any direction. • The top section also has a ball joint and a threaded 1/4x20 post. 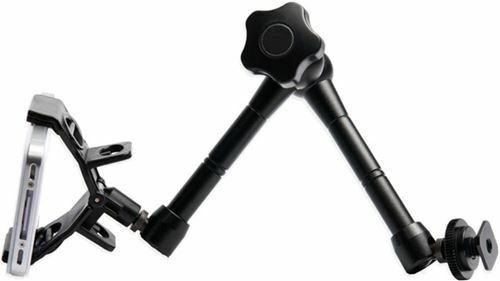 • The large knurled knob allows you to loosen both ball joints, top and bottom. 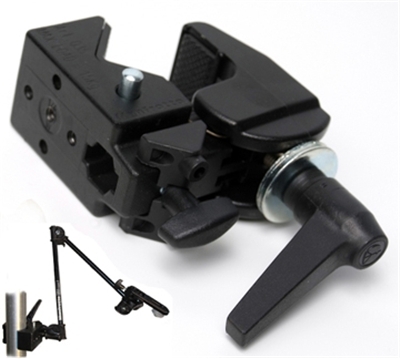 • Move the arms into whatever position you desire, and lock everything up with the twist of one knurled knob. • Simple to use, yet extremely versatile design. • Available in two lengths: 7" and 11" heights.